If you’d like to create a comprehensive financial plan, I can think of three good options. One: Work with a vetted fiduciary, fee-only financial advisor. You should come out with a sound plan, some understanding of what goes into the plan, and it will probably set you back a few thousand dollars. Two: Go it alone. Read books and blogs to learn everything you can about investment management, debt management, appropriate insurance, asset protection, etc… It will likely take the better part of a year and hundreds of hours, but you’ll give yourself a great education in personal finance. Monetarily, this will cost you very little. Three: Enroll in the only online course that walks you through everything you need to know to have at least a working knowledge of the necessary topics. This will likely take a few weeks and when you’re done, you’ll have a working financial plan and sound knowledge base in many areas of personal finance. 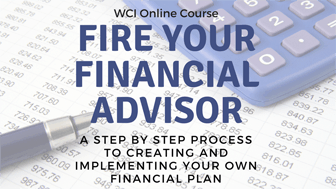 This last option, enrolling in The White Coat Investor’s Fire Your Financial Advisor Course, will set you back $499. As a member of the WCI Network, I’m certainly biased, but I’ve heard nothing but positive feedback on the course and liked what I saw when evaluating it myself. I’ve had a young physician and her husband take and review the course together. Their FYFA course review and financial plan was featured previously. Today, I’d like to share the financial plan a physician reader shared with me after purchasing and completing the course on their own. I think you’ll be impressed with both their plan and their progress. What follows is a custom-made plan created by a reader and sent to me after completing the course. Investment philosophy to live by: Things don’t create happiness – autonomy, experiences, meaningful relationships and giving do. This lifestyle is achieved through hard work, modest living, high income, avoidance of debt, and high savings/investment rate, and insured with adequate asset protection. Our goal is FI, allowing passive income to support our expenses while working less and having greater freedom. Disciple equals freedom. We believe the best way to “buy” happiness is to have shared experiences with people we care about. We will limit how much “stuff” we buy, and will make sure that which we do is of high quality. We will remember that everything we own owns a little piece of us. We will invest in a diverse mix of index funds for the long run. We will dollar cost average and will not fall victim to the emotions can come with market swings and optimize tax savings. We will review this document at least annually and continue to grow of financial knowledge via mentors, blogs, books, podcasts, etc. We will discuss what we learn with each other and how it may help out path to FI. We will teach these skills to our children (3rd generation FI), interested friends, family and students. We will remember that in hearts filled with gratitude there is no room for comparisons and discontentment. Foremost, we will not excessively worry about the future state of our finances as this prevents us from being attentive, aware, and disciplined to the joy of the present. His term insurance: $1 million 10-year/$1 million 20-year Protective laddered policies. Employer term policy 1x base, est. $350,000. Combined would cover $200,000 mortgage + $200,000 for college x 2 + $100,000 year tax free to her x approx. 20 yrs. *We will “say no” to future whole/permanent life policies! Date night is likely our best investment and asset protection strategy. Make these nights happen (dinners, hikes, trivia, a beer). Continue to prioritize our communication, teamwork and work to support balance for each other. If marital stress becomes unmanageable we will seek professional counseling. His long-term disability: > 90 days, employer policy ($7,800/mo. benefit after taxes) + supplemental Guardian policy ($9,000/mo. benefit tax free with riders). Combined would maintain est. $200,000 (post tax) income until age 65 y.o. Maintain through employer, high deductible ($3000) family plan with H.S.A, see details below. Continue to max HSA contributions annually ($7,000 in 2019) and invest in Vanguard low cost index funds, see details below. We will have assets to be able to self-fund this as opposed to purchasing insurance. State Homestead Law up to $390,000 home protected. Joint deed on title. Will considering adding security system in future. 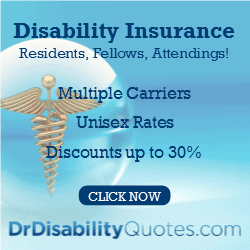 Deductibles $1,000/vehicle/claim; coverage $250,000 per person, $500,000 per accident; includes uninsured driver coverage $250,000 per person, $500,000 per accident. Personal Liability: $2 million umbrella policy, kicks in after home, auto max would be met. Current: employer policy $5 million per occurrence/$5 million per aggregate. Previous employers $2 million per occurrence/$6 million per aggregate and other (locums agency) $1 million per occurrence/$3 million per aggregate. *All policies with lifetime tails. Complied 3/2018. Copies in safe and on computer. We will update annually with new fund/contact information. Thanks PoF! Purchased 6/2015 for $287,000, current est. value with upgrades $325,000. Refinanced with SoFi to 15-year 3.25% in 3/2017. Will add extra $1,450/mo. to mortgage starting in 2/2019 (same as student loan payment/mo.) to accelerate payoff from 15 years to 7 years (payoff 2025), considering adding any windfall to mortgage payoff. Will continue to invest in our home upkeep and updates with “sweat equity” when possible as we have with gardens, sprinkler system, furniture, landscaping, trees, snow removal, lawn care. Will avoid capital gains on this home future sale per personal residence exemption of $500,000 married. We plan to buy a lake home or lake lot/build a home in approximately 5-7 years (from 2019). Will keep cost of new home < 2x our annual income, not max amount bank will lend us! If purchasing a lake home will need at down payment of 20% to avoid PMI; if purchasing lake would also need 20% down, PMI not needed with unstructured lot. -We will take out a 15-year conventional fixed mortgage for new mortgage with accelerated monthly payments. -Until new home purchase, we will continue to enjoy local cabins, parks, and trails. No undergraduate debt for him or her! Thanks merit aid, research grants, work-study jobs, summer jobs, parents, and grandparents. He graduated from medical school in 2011. He received $36,000 in scholarships during medical school. Medical school student loan debt: $167,000. In 12/2015, he was awarded a Rural Loan Forgiveness Grant: $100,000, tax-free. Distributed $25,000 annually from 2015-2019. Refinanced loans with SoFi from 6.6% to 3.74% (fixed) then to 2.24 % variable. On track for 2/2019 payoff with ongoing monthly payments and last $25,000 lump sum upcoming. Live like a resident! Avoid lifestyle inflation. Be okay with “enough.” Continue to automate monthly fixed expenditures and investments from checking. Review variable trends monthly and set monthly goals. Review annual financial and family goals every January, see document on desktop. Will keep to a minimum by: discontinue things that we don’t need (ex. cable), add energy efficient updates to home, avoid excessive heat/cooling costs. Accelerate mortgage payoff to save on interest. Will review prior month spending trends at monthly 2nd/mo. at “honey + money meetings” with her and track in excel. Variable spending goal of: < $3500/mo. or $42,000/yr, (groceries, gas, eating out, baby sitters, home essentials, and shopping). Make one spending goal/mo. and revisit this. -Budget $1000/mo. for travel, hotel, one-time expenses, projects, gifts, etc. Cash – Ally High Yield Savings fund $10,000, Visa limit $9,000– American Express Delta limit $14,000, Taxable account assets. Eat what we grow; use meats from farm/freeze; eat low carb, alcohol on occasion; share at restaurants and avoid desserts, he continues to bring lunches to work. We are aware of the three enemies that work against investment goals: inflation, taxes, expenses – minimize these as much as possible, notably expenses and taxes. The only return we care about is real after-tax, after-inflation, after-expense returns. Fired financial advisor in Jan 2019, saving 1% AUM fee, high ER fund fees, and thousands/year in annual retainer. These savings when compounded over time are huge! We will invest in diversified, passively managed, low-cost index funds. Will invest in a tax-efficient manner and rebalance at least annually. He will continue to max 401k ($19,000), 457b ($19,000), get employer match every year (~ $22,000) to decrease taxable income while increasing savings rate. Will also max backdoor Roth, spousal Roth annually ($12,000 total). Consider future locums work that would allow additional pre-tax contribution of 20% of net locums income, to max of $56k/year. She will max future retirement account with pre-tax dollars when she returns to work – this will decreased taxable income while increasing savings rate. Contribute monthly to low cost, no-load/commission free, index funds, mainly with Vanguard by investing $6000/mo. (average over the year) to support savings rate and FI. Uses of fund: expenses post-FI, lake lot down payment. Can be sold anytime. Currently 95% stocks, 5% bonds. We will simplify investments with goal of a three-fund portfolio. We will revisit contributions and allocations annually and better understand tax efficiency of allocations. We will delay social security to age 70 y.o. to maximize benefit. We will review social security benefit estimates annually and consider these when calculating future retirement income. Estimate $3000-$4000/mo. in today’s dollars. We started 529s early, child #1 at age 2 1/2, child #2 at age 5 months. We invest in low cost, age based index funds at Vanguard. We will encourage PSEO, AP classes, scholarships, and expect they work and pay for portion of college. Low cost schools > expensive, encourage merit scholarships, can cash flow with our current income, also okay if they have some student loans . Current 529 contributions will cover 75% of projected private college, but will also consider lower cost, public university options. Excess could be used for graduate school. Our state offers state tax deduction for contributions. 529 funds can also be used for our own future educational interests (if they qualify) or as legacy fund for grandchildren. Will considering adding rental or real estate investments in the future. Not bitcoin! FI is achievable with a frugal lifestyle, high savings rate, and aggressive investment allocations (phase 1 FIRE, current). At current investment rates on track for FI in 2025, ages 39 y.o, and 42 y.o. We are on track to haveour current mortgage paid by 2025 as well. When we reach FI we will work part-time (phase 2 FIRE). This will allow them to “test the waters” of RE while maintaining health insurance benefits, paying of future lake home mortgage, and avoiding early withdrawal penalties from traditional retirement funds. Could use taxable account to fund any expenses not covered by income from part-time. Goal maintain > 50% gross, > 70% net savings rate – see PoF calculator for FIRE. Calculate annually and track in excel doc. Started 2013; Updated POA 7/26/2018 signed w/ notary; review every 5 years; consider future trust. -Will discuss any major changes to this plan with each other. [PoF: Bravo! This is the second DIY financial plan I’ve published from a reader who completed Dr. Jim Dahle’s signature course (see the first one here). He really forces you to look up all of your balances and other data, contemplate what’s best, and have numerous action items to help you achieve your financial goals in a realistic and sped-up timeframe. I say “sped-up” because I truly believe that completing the exercises in FYFA and having a well-thought-out written plan will lead to the achievement of financial goals years before they would have otherwise been met. Have you taken the FYFA course? I’d love to hear your feedback in the comment box below. « My Life Costs $220 a Day. A Realistic Budget for a Post-FI Family of Four. Honestly, the details are great, but my favorite part is the beginning (the “philosophy and goals” section)! Things don’t buy happiness. Invest in your marriage. Modest living. Teach it to the kids. Sounds like the author of this gets the philosophy of financial independence. I geek out on that sort of stuff, but hey I am a “philosopher”. The details that follow fill out that philosophy perfectly! Limit the enemies, continue to remember what is important, have goals but don’t obsess over them so that you cannot appreciate the here and now! Bravo. This is fantastic. Looks like the Fire Your Financial Advisor course was worth every penny to this couple. Yep, I agree! I copied and pasted the whole philosophy and goals section into my journal so I can refer to it again. Nicely done! PoF- Having just learned to do it on my own you were spot on. It took almost a year. several books and a lot of catch up reading all the old posts here and on WCI. For those with the interest and willing to put in the effort it is a great option but if it is not something you want to fill up your free time with your other options would work. It is nice to hear success stories. This is a good reminder that I need to get my financial plan out of my head an on paper. My wife has been telling me this for awhile now! Curious if this would be beneficial for a $250k dual-income couple (healthcare but not physicians)?